It’s time to press the pause button in your lifestyle and switch on to the new adventure channel exclusively at Sri Lankan locations. 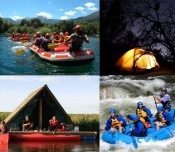 We give you wild life travel adventure,thrills in white water at Kitulgala, heart melting moments at scenic locations in Sri Lanka and much more. 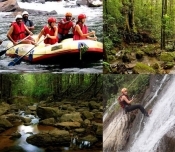 Travel to the eco tourism destinations in Sri Lanka where you will get a chance to rafting, rock pool sliding, cave expeditions and climbing rocks, natural swimming and bathing in Rivers. Explore Sri Lanka's biodiversity rich Rain Forests.